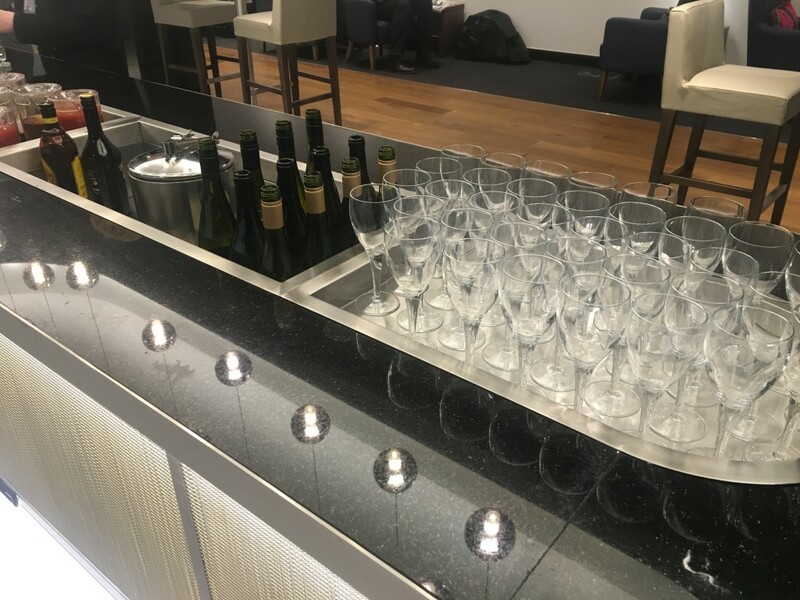 The British Airways Gatwick lounges reviewed! 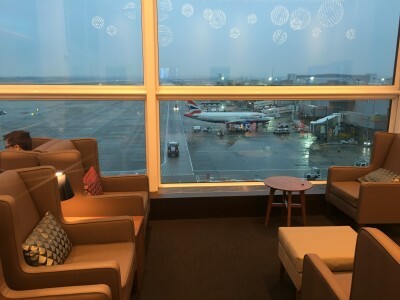 This part 2 of my review of the new British Airways lounges at Gatwick Airport. Part 1 can be found here. The First lounge can be accessed by British Airways Gold members, and oneworld equivalent members, as well as ticketed First Class passengers. To be honest, I wasn’t hugely impressed. 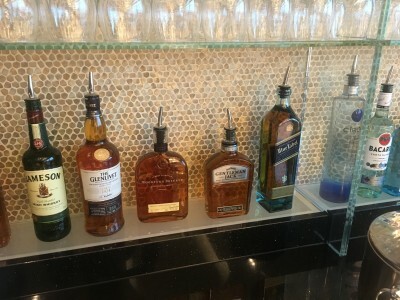 In fact, I wandered in by mistake and I thought I was still in the Business lounge. 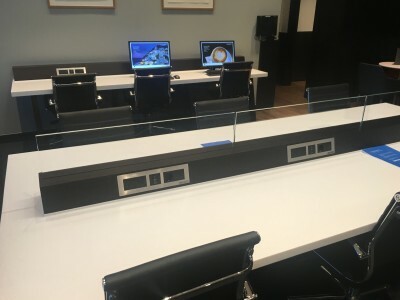 The furnishings are identical to the Business lounge. The First area is also relatively small and I suspect, at certain times, it will be more crowded than the Business lounge. At some point, ‘cooked to order’ food will be available as it is in Galleries First at Heathrow. This is not yet available due to the on-going electrical issues. 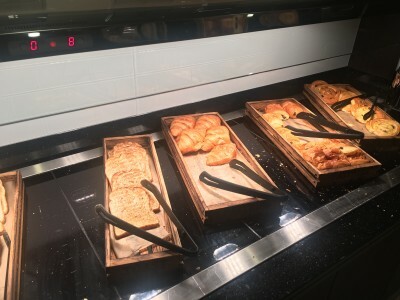 The breakfast offering in the Business lounge will be very familiar to anyone who has used Galleries Club at Heathrow. 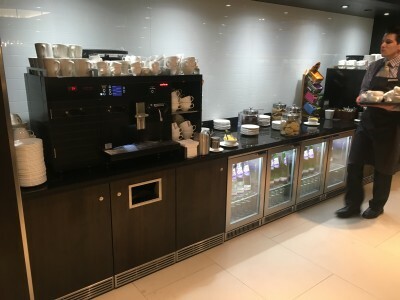 The selection is pretty much identical, as are the coffee machines and the equipment used to store the food. It was all perfectly fine. 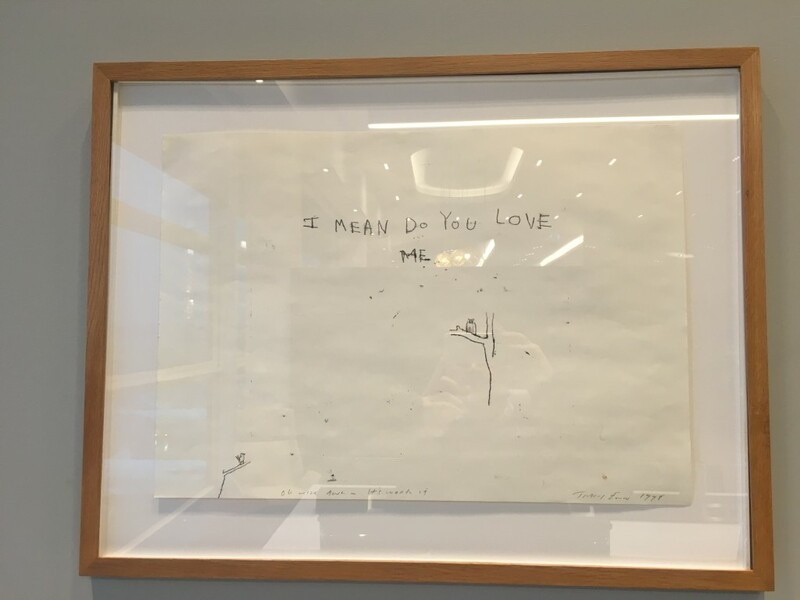 However …. I have a bit of a problem with British Airways only offering a proper breakfast in the First lounge. It wouldn’t be a major strain to also offer scrambled eggs, sausage and bacon in the Business lounge. 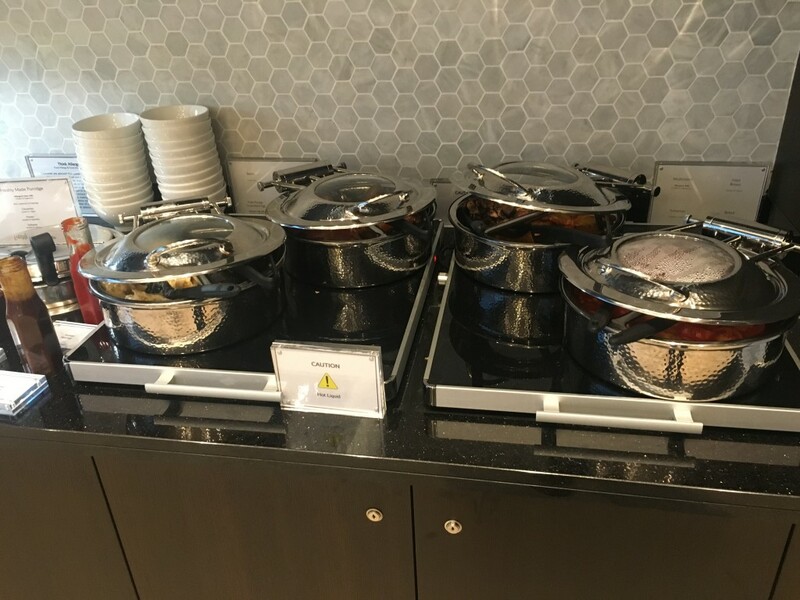 The First lounge would still have its ‘cooked to order’ menu as a differentiator and we’re not talking budget-busting costs here. 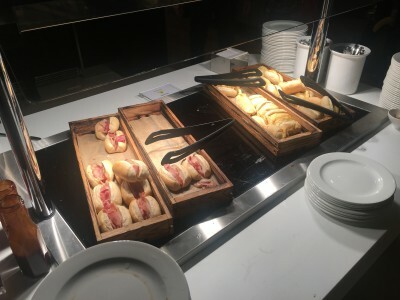 Now that cooked breakfasts in Eurotraveller are a thing of the past, adding such food back to the Business lounge menu would be welcome. 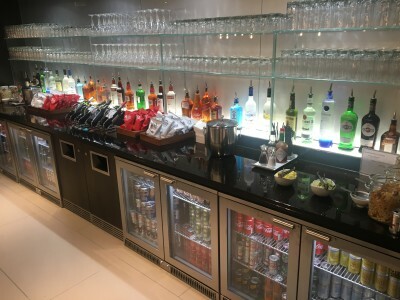 British Airways has done a good job with the new lounges in Gatwick South. Whilst it isn’t the easiest place to find, it is a lovely space and the designers have done a good job in creating different style of seating to serve the varying needs of travellers. 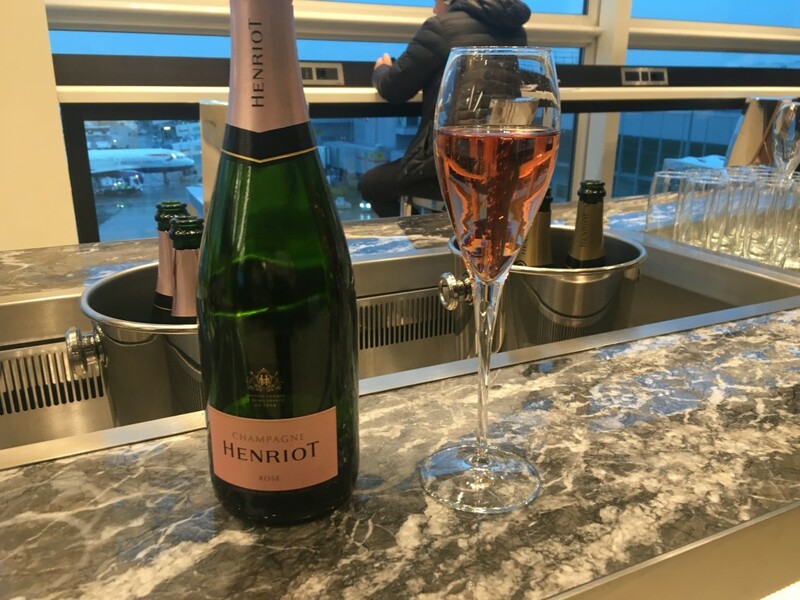 The food and drink is on a par with Heathrow and, given that Gatwick tends to play second fiddle to Heathrow, that is as good as you could have expected. The South Terminal experience as a whole is now much improved. 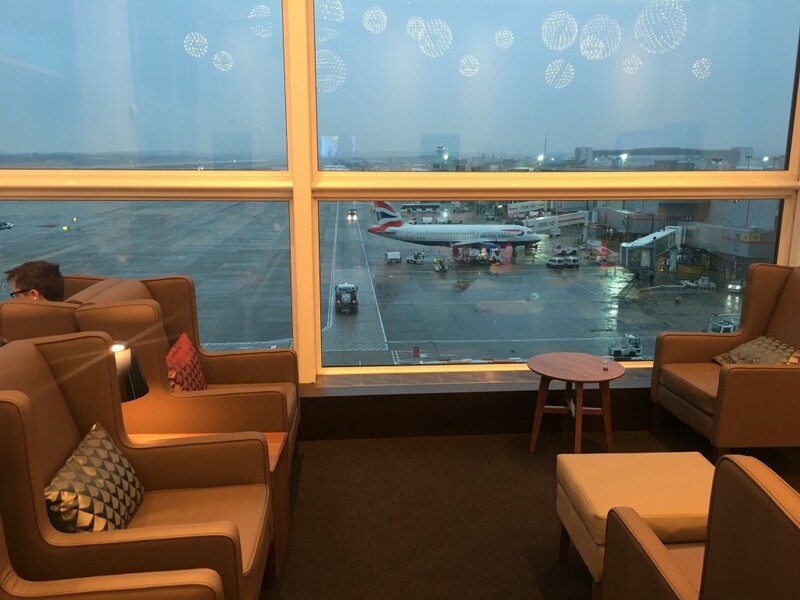 BA passengers no longer need to take the monorail from the train station, security seems more efficient than the North Terminal – with a proper premium security lane – and the lounges are impressive. The only downside is the shopping, which is still more easyJet than British Airways. I’d personally like to see ‘King of Trainers’ and the like replaced by something more upmarket, although there is a Harrods concession and a Hugo Boss to pass the time. I imagine that the retail offer will mature as existing leases expire. If you cannot see the video, click here to visit our YouTube channel and watch it from there. You can also subscribe to our channel from that page. I think King of trainers is more akin to the budget offerings of BA now days. It’s not like they’re a premium carrier anymore. 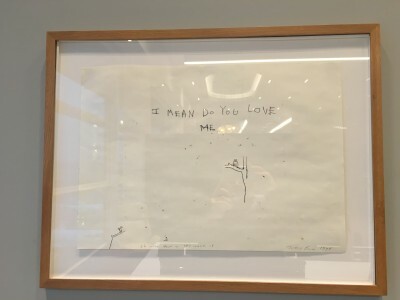 They might like to think they are but they’re not. Far from it in fact! Not sure if Jo Malone have a shop in the South but I will be a bit fed up if there is no hand/arm massage and the opportunity to buy JM tax free any more. Arriving transatlantic early morning to have a pleasant massage made the wait for connecting flight more bearable. “The only downside is the shopping, which is still more easyJet than British Airways” A comment that shows this site is now a little behind the times. There’s always been a vaguely snobby undertone in this hobby, I can’t see BA going downmarket affecting that. Fundamentally, if you had no interest in any of the trappings of business or first class travel you wouldn’t be reading it …..
There’s a difference between having no interest in premium travel and not liking snobby remarks about stores being for the “EasyJet crowd” and having to hide non-premier credit cards from dates or others in the supermarket queue out of embarrassment… As I said before, it’s an attitude problem not an objection to wealth. I always assumed they were just trivial off-the-cuff remarks, seems I may be wrong. Not that I’m demanding change of course – your readership no doubt love that attitude. These are pure factual statements. Gatwick had already started kicking out a lot of shops and restaurants from South over the last year. Frankie & Benny’s is being replaced by a funky new upmarket restaurant, for example. We all know what sort of shops were in North (50% BA, 50% Easy passengers). As South is – factual statement – more downmarket than North was, you have to assume that it will improve to at least the level of North. Whether it surpasses the level of North is a different question but one we will know the answer to within a year. Those are not “pure factual statements” – they’re loaded with judgement. A pure factual statement would be along the lines of “changing to stores targeting a more wealthy clientele”. I’m sure if you applied the same concept to an individual instead of a group, you’d see just how judgemental it is. I fully accept I have a chip on my shoulder with regards to this so perhaps seem unreasonable though! I suggest you are out of touch with the BA demographic (as is BA …..) Not met a single person in our ludicrously expensive ski hotel this week who flew anything except BA despite the myriad of options. Unless you fly from EDI of course, hardly anyone with skis/boots heading to BA – everyone on Jet2 and easyJet to GVA! The RFS devaluation and hassle of LHR transfers has pushed most folk onto the direct carriers. Gold member and Weekly commuter for the last 2 years on gatwick-schipol , I agree with the description in the article. Not impressed with the first lounge, very similar to business. I actually had to start in the business lounge as the first only opens at 7am and I have always been arriving at 6.30am to have my cooked breakfast in the lounge…. I had to go with a bacon roll! And then checked out the first lounge for 10mins before going to the gate . Only positive would be more power sockets.